I am going to get straight to the point... this floral leather jacket is everything! As someone who tends to gravitate toward things that are more feminine, leather jackets often look too tough for my taste. Well, that is, until I found this one. 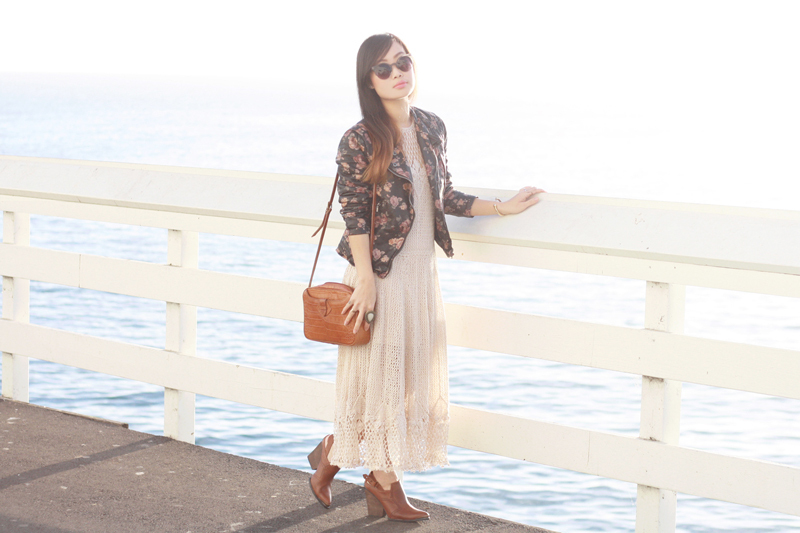 This leather jacket from Forever 21 is romantically edgy with its pretty floral rose print and motorcycle style. I also love that it is dark brown and not black. Did I mention it is also super buttery soft? To make things even more feminine, I paired it with one of my all-time favorites from my wardrobe... a vintage crochet knit maxi dress. Lastly, I finished the look with these amazing slingback booties from Forever 21's genuine leather collection. I love them, they are a perfect combination of sleek and rustic! 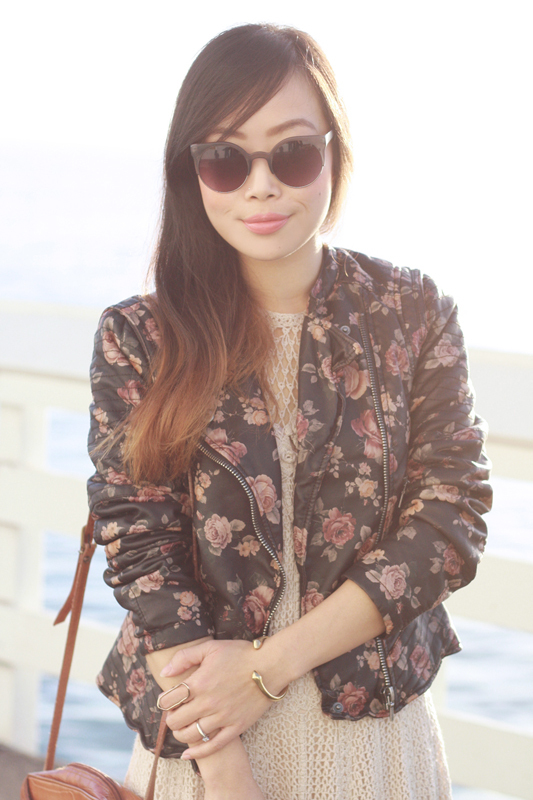 Floral rose leather jacket c/o F21. 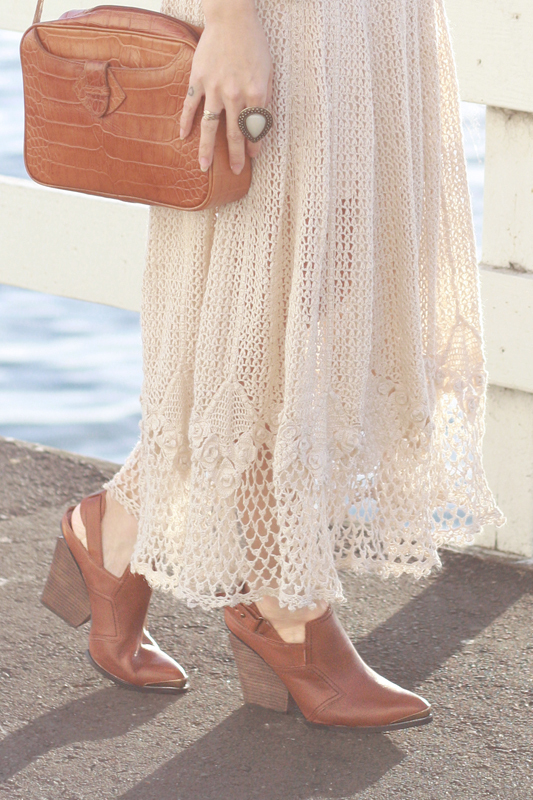 Vintage crochet knit maxi dress. Vintage croc print leather handbag. 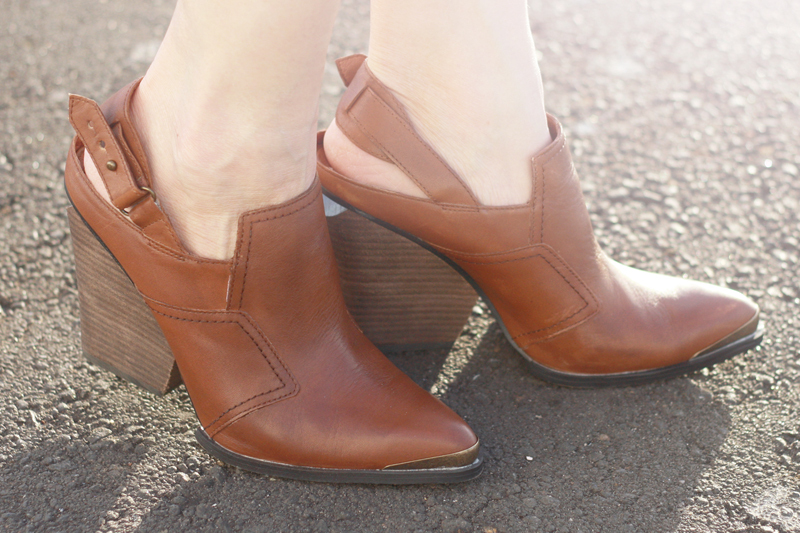 Genuine leather slingback booties c/o F21. Leather & lace in a way I've never seen them before! Beautifully done. 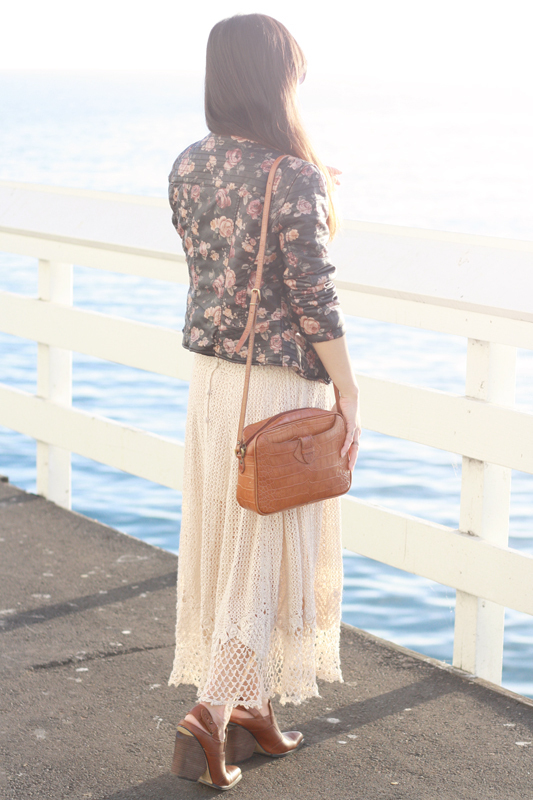 Your vintage crochet maxi dress looks so perfect against the backdrop of the sea. I've just noticed you're in Santa Cruz - I visited there once when I was three and a half! Ros! It's always such a delight to read comments from you! :) Thank you! Oh my that's a lot time ago, come visit again! New reader here! I absolutely love this look...thanks for sharing! I love this outfit. You look great! Really love the jacket. Gorgeous photos, as always! And that jacket really is everything - I love your styling for this look! Your new leather jacket is awesome! I don't think I've ever seen a floral print one. It looks great with this dress. Such a pretty look. The jacket run true to size?